Batelco, in line with its support to national initiatives in the Kingdom of Bahrain, announces its participation in the Consumer Protection Expo 2018 as a proud Silver Sponsor. The event is taking place at City Centre Mall from March 1 to 3 under the patronage of His Excellency Zayed bin Rashid Al Zayani, Minister of Industry, Commerce and Tourism. 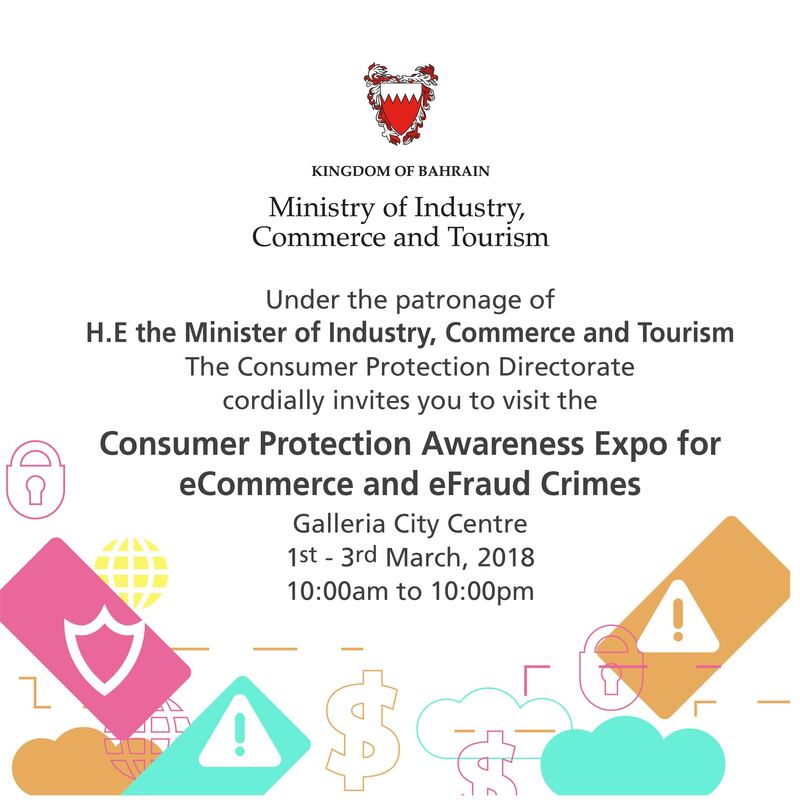 The Consumer Protection Expo is being organised by the Consumer Protection Directorate within the Ministry of Industry, Commerce and Tourism in cooperation with the Ministry of the Interior and the Central Bank of Bahrain. The aim of the exhibition is to spread awareness about consumer protection under the global theme “e-commerce”. The exhibition seeks to enhance confidence in e-transactions between businesses, spread awareness on the importance of e-commerce, educate consumers on related topics and furthermore, encourage partnership between the government and private sector. Batelco’s participation in the exhibition reiterates the company’s commitment towards supporting the Kingdom’s efforts in raising awareness and creating a safe environment for consumers. Batelco is proud to be part of this national initiative that sheds light on an important topic as well as educates consumers on e-commerce and encourages them to follow best practices for safe use.